NDLOOM weavers were the high-rollers of the textile industry in the final decade of the 18th century. While spinning was now a mechanised operation, making thread cheaper and more plentiful, no-one had yet come up with a satisfactory power loom – so there was a production bottleneck which the weavers were happy to exploit. A Bolton handloom weaver could earn £1 10s a week in the mid 1790s. But this very fact – and Cartwright’s invention of the power loom – sowed the seeds of the trade’s destruction. Good pay and high demand for cloth brought workers, particularly Irish immigrants, flooding in to what was a relatively easily-learned profession. So even before power looms made any real impact, wages had begun to fall. This was in direct contrast to the spinners – as a cottage industry, spinning had been the part-time domain of the womenfolk but, as factory manufacture took over, the job became more skilled and demanding, and men took over. By 1807, because of the war with France, trade was in deep recession and manufacturers were taking advantage by putting out weaving work at breadline prices, stockpiling goods so they could flood the market when better times returned. In May, 1808, the weavers’ minimum wage bill was rejected by the Commons. Five days later, 6,000 weavers gathered on St George’s Fields, Manchester, to protest and call for a 33per cent wage increase – the average pay for an 84-hour week was now about 8s. They were dispersed by dragoons. The following day, 15,000 gathered in the same spot and one man was killed when the dragoons opened fire. The soldiers later apologised and took up a collection for the man’s family. A strike followed and weavers ruined cloth on the looms by squirting vitriol through factory windows. In Rochdale, prisoners were released and the town jail burned to the ground. In Bolton, troops broke up a meeting. It all ended in compromise in July, when the weavers went back to work with a phased 20per cent increase. There had been approximately 75,000 handloom weavers in Britain in 1795. This had grown to more than 200,000 by 1812, by which time power-loom factories were mushrooming. The Luddites now came on the scene, and despite the passing in February of Ryder’s Act, making machine-breaking a capital instead of a transportable offence, the summer was peppered with riots and loom smashing. Eight were executed at Lancaster, four for mill-burning, three for breaking into a house to steal food and a woman for stealing potatoes, while at Middleton four were killed during rioting. The year 1817 was marked by the Blanketeers March. Hundreds of weavers, carrying blankets to sleep in, set off from Manchester to petition the Prince Regent against Home Secretary Lord Sidmouth’s repression. Before they reached Macclesfield, more than 200 had been arrested and the rest were dispersed. The idea of a Government-applied minimum wage for handloom weavers was still being mooted, and not just by the weavers themselves. Some of the more respectable “putting-out” firms were beginning to see the benefits of such a scheme as they battled against competition from cheapskate businesses who undercut them by paying their workers starvation rates. In September, 1819, a month after the Peterloo Massacre, 35 calico producers backed a minimum weavers’ wage and one of them, James Hutchinson of Elton, near Bury, wrote to Sidmouth asking for action. Others also dug in their heels. 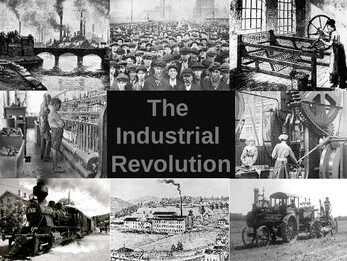 As late as 1822, several manufacturers met in Rossendale to demand restrictions on the use of power looms, suggesting the introduction of a new tax which would be paid over to the needy. But the Government maintained its laissez-faire attitude and, by doing nothing, merely accelerated the trend towards mechanisation. Hutchinson, like many of his fellow businessmen, gave up the struggle and eventually opened his own power-loom mill at Woodhill, Elton. Despite everything, however, the number of handloom weavers continued to increase, reaching 240,000 by 1820 before the long, slow decline set in. By 1829, the number had dropped to 225,000 who were earning little more than 5s a week, while there were now 60,000 power looms in operation. By 1833 there were just 213,000 left and, as more and more gave up the unequal fight, two years later the total was 188,000. William Turner, in his excellent book Riot! which describes the Lancashire machine-breaking riots of 1826, gives some revealing figures about handloom weavers’ wages in North-East Lancashire. The price paid by manufacturers for a piece of calico, he points out, was 3s 7d in 1818, 2s 11d in 1824 and a little over 2s 1d a year later. 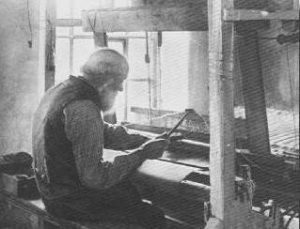 John Phillips Kay, secretary to Manchester’s Special Board of Health, described the weavers’ plight in 1832: “The handloom weavers … still continue a very extensive class, and though they labour 14 hours upwards daily, earn only from five to seven shillings a week. The biggest drop in handloom weaving numbers came in the 10 years from 1835 – in this period, they lost more than two thirds of their number and were down to 60,000. By 1844, even those hardy souls who persisted in the trade were trodden down by despair. German author Jakob Venedey, who visited Manchester in that year, visited one family of handloom weavers in Ancoats and reported: “Their hardship had lasted long enough to destroy their old pride, to make them forget their former wealth. By 1861 it was all but over: just 7,000 handloom weavers remained, none able to scrape even the most meagre living despite toiling up to 15 hours a day. The rise of powerlooms was, of course, in direct contrast: 2,400 in 1813, 14,150 in 1820 and 100,000 by 1833. The figure reached a quarter of a million in 1850 and 400,000 11 years later. OUR 'Questions' feature has proved too successful for its own good. We have been swamped with enquiries - most of which could have been answered by even a cursory look at the site. So reluctantly, we have had to withdraw the facility. We apologise sincerely to those readers who made considerate use of the service.